A man working in an IT company 🏢 became sick.. 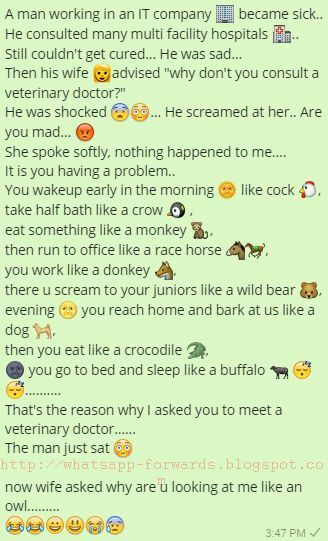 He consulted many multi facility hospitals 🏥..
Then his wife 👩advised "why don't you consult a veterinary doctor?" It is you having problem..